QuakeWorld is also present on Facebook! The Wiki is now accepting new users! Legend has long been spoken of a super draft tournament in our midst. 85 signups across 3 divisions. Admins john and Link have spent the last week sweating blood to make it happen, and now the moment has come. Tonight! 2100 CEST, Saturday 13th April, the draft will begin, and TastySpleen have something special prepared for all. First course: Div 3, then Div 2: the main course, and last but certainly not least, everyone's favourite: Division 1. Live on stream! TastySpleenTV serving up the goodness, promising a show that will not disappoint. Here we go, another iteration of QHLAN is about to spawn in Silkeborg, Denmark at the end of August. The venue is a community center with about 70 seats. Our Danish community member and legendary admin Zalon will run the logistics, as he's been involved with the place before. While the intention to keep this tournament every half of the year could not be fullfilled every time, yet this time we are happy to announce the new season Thunderdome 11 which starts 2019-03-17. The rules this time are slightly different from the previous seasons. First of all the aim of the rules change is not only to provide the opportunity for everyone to play the most popular maps, but also to try the new, not fully studied duel maps, enabling players to challenge their skill in a fair competition on an unusual maps. This allows leveling of the field then the new players and veterans could have a fresh start and the results of the games are less predictable, making the tournament more exciting to follow. For the first time using Discord for the scheduling of the games and communication between players. For the details see the rules section. The registration is open using the following link and will be closed 15th of March 2019. The admin team will perform division placements and creating the schedule and brackets on 16th, and the 17th the first games could be started. We are welcome everyone regardless of the skill level to join and enjoy the tournament together with us! The version of the map updated as a result of players feedback is available here: toxicity_test2.bsp. P.S. Thanks for playing! GGS! The new 1 day tournament is opening on upcoming Sunday the 24th of February. Registration is open! The purpose of the tournament is to test the potential changes of the new map Toxicity for applicability to the upcoming Thunderdome 11 (and further) tournament. The tournament is agreed with Thuriam, the author of the QW port, and he will take the feedback from the tournament for his map. The exact format (double/single elimination, 1 or 2 divisions) and time (16-17:00 UTC?) will be announced later depending on amount of registered participants. The map is available on qw.playground.ru:27501 - 4, qw1.irc.ax:27501 - 4, qw2.irc.ax:27501 - 5, qw.dreamhack.se:27501 - 4 and here. 16:00 UTC = 17:00 CET: Close signups. 16:10 UTC = 17:10 CET: All players MUST be online not later this time at IRC #Thunderdome or in Discord. 16:20 UTC = 17:20 CET: Admins will write decision about tournament system. 16:30 UTC = 17:30 CET: Admins will write brackets and players can start playing games! UPDATE 2: Demos and brackets. Get2Gether: Second Edition - Groups announced and start date. The sign ups are closed, the divisions are finalized and Get2Gether Second Edition is ready to kick off this Sunday, 20th January. Get Hyped! Grab your partners by the hand, Get2Gether returns for a second season in 2019! With 2018 coming to a close the QW community looks to the future. 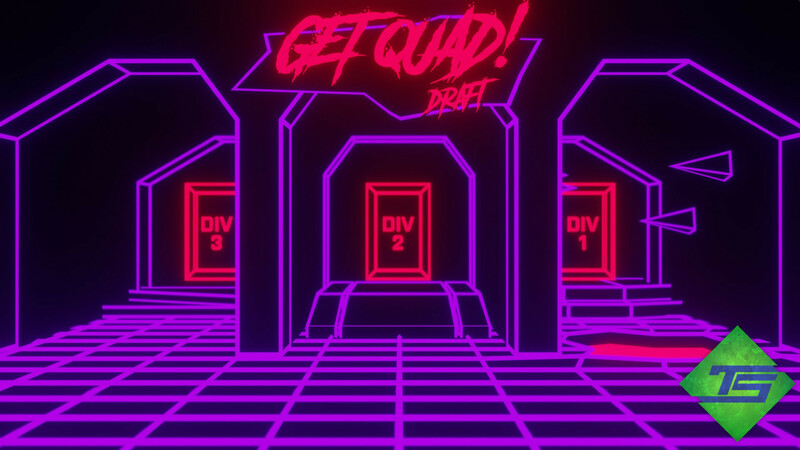 And we are happy to announce a brand new duel league to kick off 2019 with a bang. It's HAMMER TIME! After 9 months hard development and refinement FortressOne 1.0.0 is now available for download. FortressOne for those not in the know is a stand alone Quakeworld Team Fortress package containing all you need to enjoy that most legendary of mods in the modern day. Featured in the package are a modified version of the ezQuake client, updated textures and models as well as a many other general improvements. Whether you are an old hand or a curious new comer to QWTF you can check it out for free today. Simply grab the package installer, available in both Windows and Linux flavors. Do you know about something quake related that you think we should post an article about?